List your events for the millions of people using whatpub.com to see. Something new at the bar? Let people know the latest Real Ales you have on offer! WhatPub is used by thousands of people each day searching for pubs. 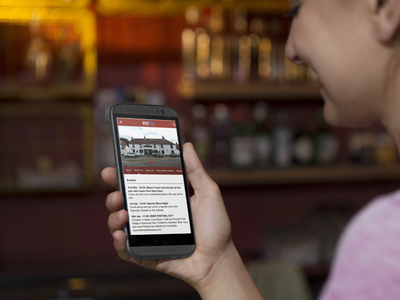 Registering your pub allows you to promote events and your latest Real Ales to all your potential customers. In general searching for a pub by pub name alone is less likely to be successful. There are very few pub names which are rare, and fewer still that are unique, and a common pub name will give too many hits to be useful. Searching for pubs within a location is far more effective. Location can be defined by place names, which might be cities, towns, villages or districts of large towns or cities. Location can also be defined by postcode or the first half of a postcode. A location based search gives you a list of pubs with the pubs closest to the centre of the location first on the list. To find the pubs in a location that have a particular feature or facility, first find the pubs at that location and then use the filters to the right of the search results to select the pubs with the features/facilities you require.